20. Just a Little Early . . . I just discovered this release about a week ago, and just now got around to sitting down and listening to it. 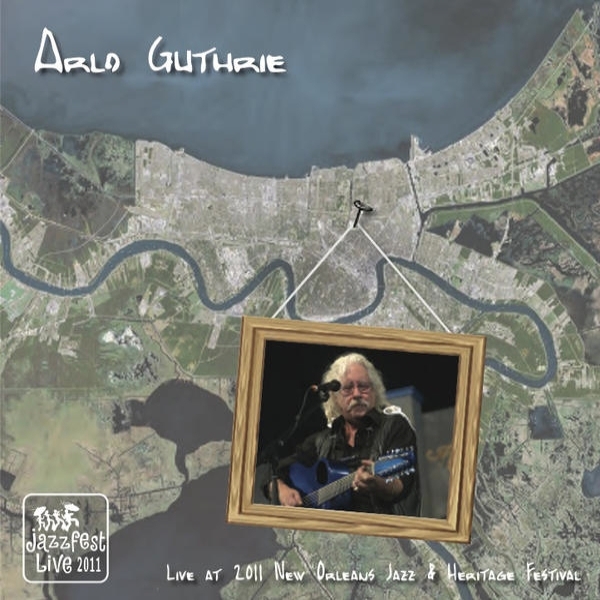 At first I was quite excited to see a live Arlo release from a recent tour, as it's my opinion that of all Arlo's releases, the live ones are the one's that truly shine as you get the stories along with the music. The first thing that struck me was - wow, it sounds like he has quite a few folks doing backing vocals (btw, anyone know who all these folks are?). Next thing I picked up on was it sounds like there is someone on bass and electric guitar. Anyone know who these people are? I know that the electric guitar is "Bobby", but no idea who that is. Now, I will say that I was a little disappointed in this recording - not because of the show itself, but more because of the mix. This is a live show, yet the crowd barely seemed to be there in the mix at all, so it felt a little flat to me. Also, if you are a fan of Arlo's guitar playing - you might be disappointed as well as at times it seemed as if the acoustic guitar got buried in the mix and was barely audible with preference given to the electric guitar. Also, the backing vocals seemed to be a little odd at first - perhaps because I haven't heard them used in some of the songs - but in other places they were a very welcome addition (such as in Prologue). Overall it's an OK live recording - but not representative of how he sounds live. I get the impression that other than the performance Arlo & Co didn't have much to do with this recording. Perhaps one day RSR will get a hold of it and remix/remaster it. For me, the highlights here are "Prologue", "Keys To The Highway", "Pig Meat", and "Journey On". Like I said, my biggest problem with this recording is the mix and the sometimes absence of Arlo's guitar. Why can't we post a reply to a discussion about individual recordings? I was looking at the Discography post about the Live at the Jazz Festival recording, and you were wondering about some aspects of the CD.. where I would have left a reply that said that the background singers were probably the Burns Sisters, the guitarist was Bobby Sweet, Jody Lampro was probably playing bass, and Abe was on keyboards. ...it was all the people from last year's tour. I woulda posted it over there, but now it's ...here! Okay, this is great...I'm glad I can post over here now! Thanks for the info hon. Would love to get a copy of this.